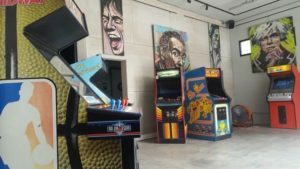 The Retro specializes in the renting of arcade, pinball, and vintage gaming machines. We are passionate about finding lost arcade machines, giving them new life, and sharing them with you!! Whether you are having a wedding, winery function, corporate event, or hosting a party, we have the machines to make it unique!! We have over 10 years experience with the classic arcade video games and pinballs, the last four of which have been focused as providing rentals as Napa Valley Pinball.